Moser's performance aluminum differential covers are made of 356 T6 aluminum and are designed to improve ring and pinion gear life, as well as the appearance of your vehicle. They are a support-style cover that stiffens up the main cap area, helping your gears to last longer and even further reduce the amount of ring deflection. The covers weigh only 6 lbs. 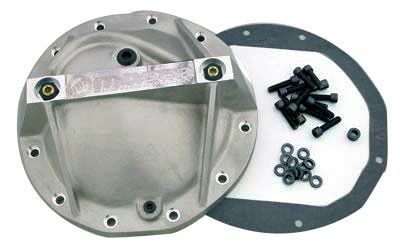 and include all necessary bolts, washers, and gaskets.